Arlene has been representing buyers and sellers of East Bay properties for more than 20 years. She cares deeply about her clients’ success as well as their experience of buying or selling their home. She is an unusual agent: someone who combines true expertise about architecture, current market conditions, and providing caring guidance to her clients. It’s both high-tech and high-touch! The amazing diversity of cultural activities, the natural beauty and exceptional architecture, make this an area to be passionate about – and Arlene is! She considers this area the ideal setting to satisfy the physical and emotional self! Ask Arlene for her very personalized tour of Berkeley and Oakland markets and restaurants, bookstores and other favorite places! Arlene came to Berkeley in 1969 to study English literature at UC Berkeley, and she’s never wanted to leave. Arlene’s professional experience includes ten years as a manager and career counselor on the Berkeley campus, as well as 13 years as a business manager of scientific research institutes. Arlene considers herself not a salesperson, but a counselor. She will be your guardian angel and your devil’s advocate. She will share with you her extensive knowledge of the East Bay and her expertise in the complexities of real estate transactions. Her goal is for her clients to be satisfied, informed consumers. Arlene has represented buyers and sellers of homes and income properties throughout the East Bay, from modest bungalows to multi-million dollar estates, condos to historic landmarks. Regardless of the property, the highest priority for Arlene is that her clients feel listened to and well cared for. She strives to see the real estate transaction through her clients’ eyes. She has a special passion for homes in the styles of the Arts & Crafts movement: bungalows, brownshingles and Prairie homes. 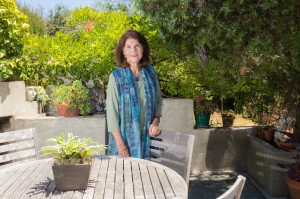 The proud owner of a 1911 Julia Morgan home, Arlene is intimately acquainted with the issues facing both buyers and sellers of older properties. She is part of a group of local A&C afficianados who are actively involved with the revival of the Arts & Crafts movement and its aesthetics. She will happily share her expertise of period style and details, and is able to refer her clients to local tradespeople and artisans for period-appropriate fixtures, furnishings and renovations. She is proud to have represented homes designed by some of the finest East Bay architects, including Julia Morgan, John Hudson Thomas, Henry Gutterson, Walter Ratcliff and others. Arlene believes in giving back to the real estate community, and has been very active with the Berkeley Association of Realtors. She was the 2007 President, and has been a Director since 2004. She also has served as a Director at the State level, serving on the Environment and Land Use Committee of the California Association of Realtors. Arlene is proud to have been chosen one of twelve Realtors state-wide to serve on the GreenTask Force of CAR. She was also honored to have been one of only four Realtors nation-wide to serve as an advisor in the planning of a Green Realtor designation program for the National Association of Realtors. 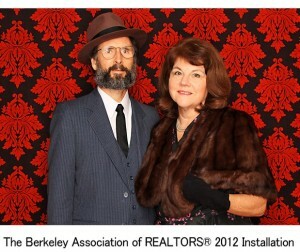 She founded a new Green Council within the Berkeley Association of Realtors, as well as a Regional Green Council. Locally she is also an active member of the Local Government Relations Committee and member and former Chair of the MLS and Technology Committee. Arlene is an active participant of the Women’s Council of Realtors, having served as the 2011 President. During that year she helped rekindle her local Chapter, more than tripling the membership. Arlene is also an active member of the Hillside Club, the Berkeley Architectural Heritage Association and a life member of the California Alumni Association. Arlene regularly serves clients in Berkeley, Albany, Kensington, El Cerrito, Oakland, Piedmont and Alameda, and occasionally ventures into other surrounding communities at her clients’ request.